Income investors may not know it yet, but many dividend stocks might be facing a significant threat as the Federal Reserve hikes interest rates through the end of 2019. It’s times like these that many investors seek dividend aristocrats, but there are other dividend stocks out there that are still worth checking out despite not being in this exclusive club. Regardless of the dividend stock’s status, investors must consider the following when looking at good income stocks to buy: Investors should select a company that has a history of steady increases in dividend distributions, has growing cash flow every year and is still trading a discount or up to fair value. Starting with one of the most cyclical but most dependable in dividend income on this list, Ford (NYSE:F) offers a dividend yielding 6.3%. Selling pressure in F stock accelerated throughout 2018 as markets fretted over a U.S.-led trade war that hurt car sales. Selling finally capitulated in late-October, with Ford stock falling to below $8.17 before rebounding. But the company’s quarterly earnings report offered no evidence that business was so bad the stock deserved to fall. 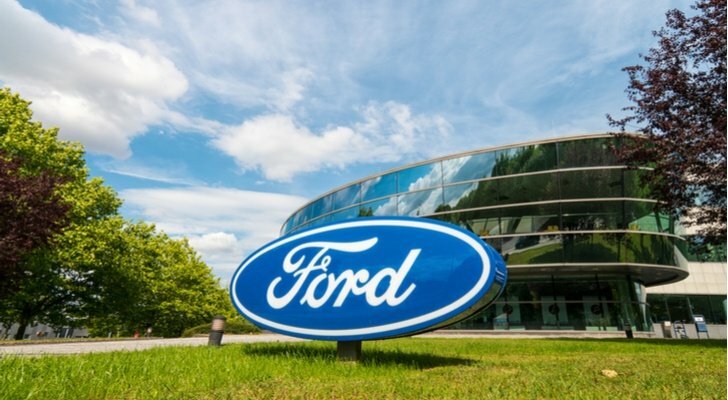 Instead, Ford reported a solid earnings-per-share and revenue beat of 29 cents (non-GAAP) and $37.67 billion, respectively. The economic cycle may hurt auto sales, but Ford is ready to take on the challenging environment. It benefited from a strong product mix in North America, driving revenue up 3% year-over-year. Cash of $23.7 billion and cash liquidity of $23.7 billion suggests Ford will not cut the dividend any time soon. It may even issue a special dividend if truck and SUV sales exceed estimates in 2019. Philip Morris International (NYSE:PM) has a dividend yielding 5.3%. Rumors that the U.S. Food and Drug Administration plans to impose restrictions on e-cigarette sales hurt PM’s stock price slightly. Still, the stock is holding up better than other cigarette suppliers. In the third quarter, the company easily beat analyst estimates, with EPS coming in at $1.44 and revenue topping $7.5 billion. 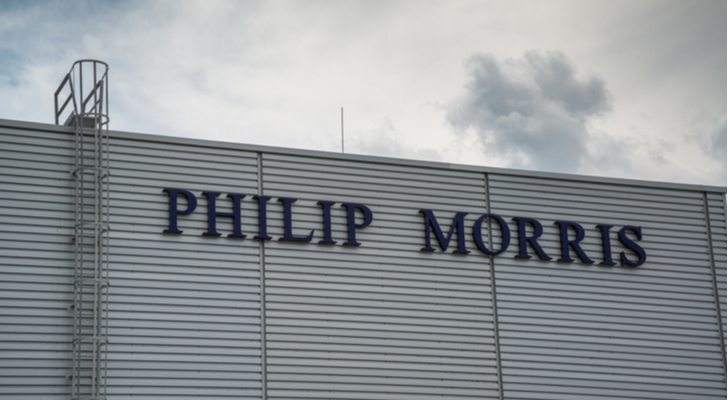 Philip Morris is adapting to the change in smoking habits. It continues to invest in its IQOS device, which has helped the company significantly in the longer term. In Q3, the margin impact of lower IQOS device sales lifted operating income by 7.6%. IQOS 2 launched on Oct. 23 in Japan with notable success. By offering an alternative to cigarette smoking as consumers embrace the heated tobacco system, this company will bring in revenue growth quarter-after-quarter. And with that trend playing out, management may reward its loyal investors by increasing its dividends in the years ahead. 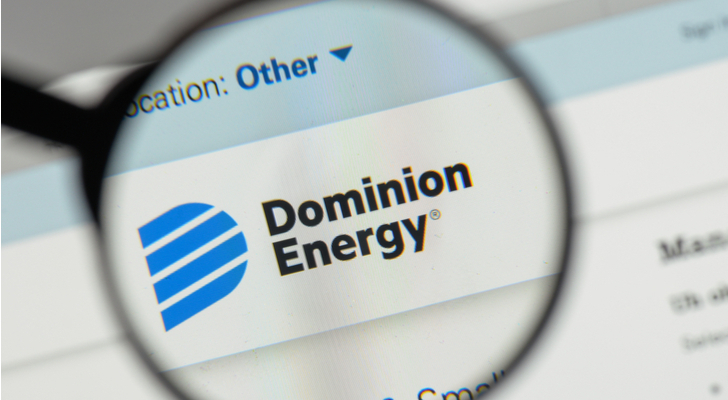 Dominion Energy (NYSE:D) has a dividend yield of 4.5%, which is down since June and for a good reason: The stock rallied from $61.53 and closed recently at $73.43. The company’s stock rose recently after it reported third-quarter results that met expectations and exceeded year-to-date targets. Dominion Energy earned $1.15 a share and $3.16 so far for the nine months of the year. Power generation, power delivery and gas infrastructure revenue all came within the guidance range midpoint. For the full-year 2018, Dominion Energy expects EPS in the range of $3.95 – $4.10. Its 2017 – 2020 operating EPS CAGR will be 6% – 8%. Income investors may look forward to the completion of the SCANA merger later this year, as Dominion’s business plan includes a diverse growth capital investment program that will spread its business risks. 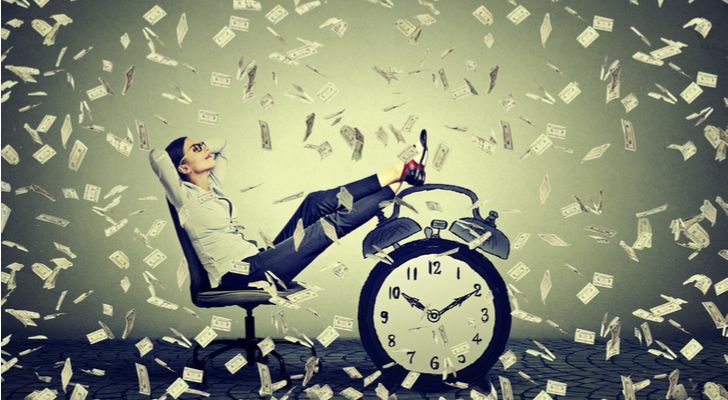 Ultimately, this dividend stock is worth considering when you consider that it is starting a variety of businesses, has an improved risk profile, strong earnings results and expectations of FY operating earnings above the midpoint. Chevron (NYSE: CVX) is a major integrated oil and gas firm with a dividend yield of 3.9%. Shares are down from yearly highs after oil prices fell sharply in the last two weeks. But the company’s strong third-quarter earnings report gives investors the confidence that the dividend will keep coming, while the share price holds steady. Chevron reported revenue growing at a healthy 12% to $44 billion in Q3. A ramp-up of Wheatstone in Australia and the U.S. Permian Basin helped drive production levels 9% higher from last year. Chevron’s upstream operations earned $828 million — a vast improvement from a loss of $26 million last year. The unit benefited from crude oil prices moving higher this year, while the company increased production. Chevron forecasts topped its original guidance range of 7% growth; 2019 will be an even better year as it finalizes the commissioning of the Wheatstone domestic gas plant. The first sales will start in Q1 2019. In Q4, the company expects cash flow from operations to strengthen. This should continue regardless of where oil prices move. Meanwhile, CapEx levels are trending slightly higher at 5% above expectations. YTD, it is $600 million above its plan. The company expects cost trends to level out and savings to be realized over time, all of which bodes well for CVX in the future. At 7.5%, Iron Mountain Incorporated (NYSE:IRM) offers one of the highest dividend yields on this list of dividend stocks to buy. The company recently reported impressive third-quarter results, which were supported by internal storage rental revenue and margin expansion. In Q3, revenue rose 12%, while adjusted EBITDA jumped 15%. These results allowed the company to declare a 4% increase in its Q4 dividend payout. Iron Mountain benefited from rental revenue growing 2.6% so far this year. 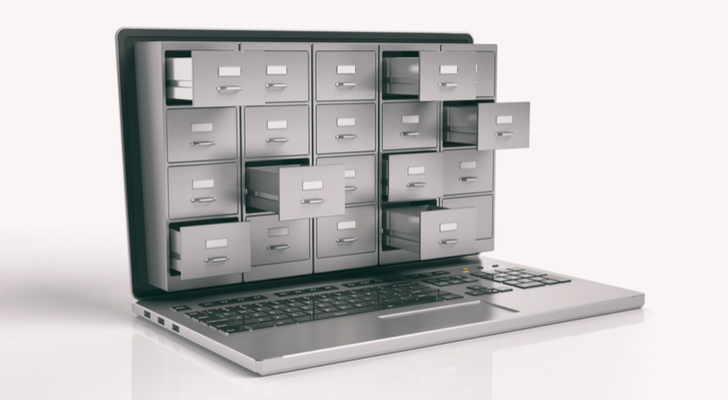 Internal service revenue growth of 5.2% is due to grow in the shred business, digitization and special projects. Markets often question the sustainability of Iron Mountain’s dividend, but the NOI CAGR of 3.1% for Physical Storage, plus its expansion in emerging markets and data center, suggest the company will grow EBITDA through the end of 2020. If business keeps up at this strong pace, the share price will go up, lowering the dividend yield. But management may just hike the dividend in the future to keep its yield attractive while rewarding its shareholders. The takeaway here is that Iron Mountain is in the process of shifting its business into new segments. It has time to make the conversion because its borrowing was at a fixed-rate, averaging 4.8%. Even as rates move higher, Iron Mountain’s interest rate costs will not go up enough to hurt the dividend payout. Telecom giant BCE Inc (NYSE:BCE) is a Canadian firm whose dividend yields 5.6%. It is this high because the stock fell steadily throughout 2017, down 16.6% from a 52-week high. Bell allayed fears of any business weakness when it reported a good third-quarter report. It added 266,000 wireless, internet and IPTV customers, an increase of 78,000 or 41.5% from last year. In the more important wireless division, Bell added 178,000 wireless customers — the best ever for a Q3 period. This added 5.9% in revenue growth and 4.5% higher adjusted EBITDA. 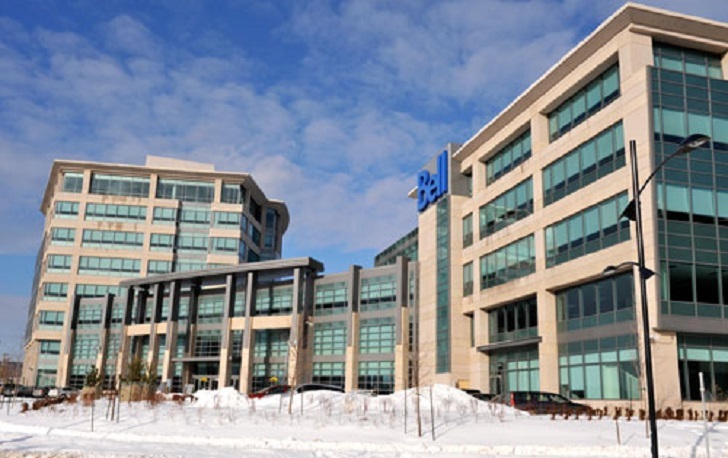 Q3 is seasonally the weakest period for Bell, but the firm reported a 1.1% increase in revenue. In 2019, BCE will cut 4% of its management staff (700 positions). The capital intensity ratio will fall along with total cash pension funding. In effect, the cost controls will keep profit margins strong while the firm continues to pay out a dividend to shareholders. Sure, investors could consider AT&T (NYSE:T) as an alternative, especially given that the dividend is 6.5%. But since BCE is a pure play in wireless and internet markets, with little exposure to content other than its CTV unit, it has a distinct advantage depending on your investment approach. And for that reason, I chose BCE instead. BP (NYSE:BP) is a major integrated oil and gas firm whose stock pulled back 14.55% from yearly highs. The dividend yields 6.1%, which is elevated because oil prices fell recently and took BP stock down with it. However, markets are quick to forget BP’s solid third-quarter beating consensus estimates. The firm reported profits of $3.8 billion, more than double that of last year’s level. Revenue grew a staggering 32% from last year to $79.5 billion. After dropping from $47.83 to below $41, the market is signaling that it does not believe the company will report profit growth with oil prices lower. BP is well-prepared for an even bigger drop in oil prices. Over the years, it shed non-core assets, strengthened its balance sheet and continued paying a dividend despite the fluctuations in oil prices. Its underlying cash flow inflow is balanced with the outflow of organic capital expenditure and dividends. 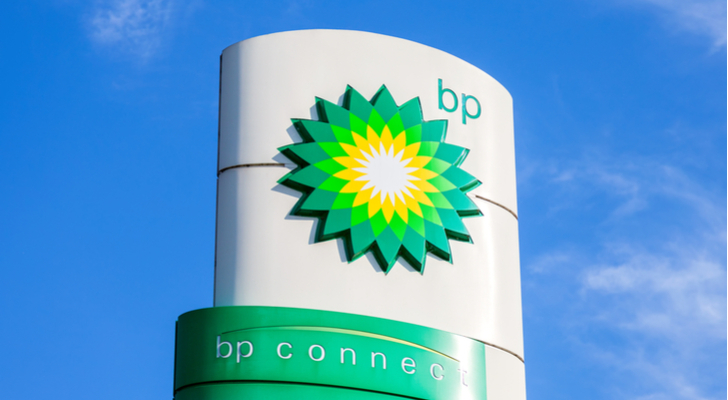 Should cash flow fall due to lower oil prices, BP may sustain its dividend but lower spending. To keep growing in the future, BP has five major projects currently in operation: Thunder Horse Northwest Expansion, Western Flank B, Atoll, Taas Expansion and Shah Deniz 2. BP’s outlook is bright. It is shedding over $3 billion in assets and spending ~ $15 billion in capital expenditure in 2018. In the upcoming fourth quarter, it forecasts higher production from upstream. Downstream will benefit from higher levels of a turnaround thanks to its Whiting refinery in the U.S.
Will oil prices keep falling? No one knows, but BP is prepared. It forecast EPS growth through to 2021 on ~ 50/bbl in 2018 and just $35 – $40/bbl by 2021. In short, if oil prices hold $60 – $65 for the next few years, investors get a dividend and BP stock will keep going up. As of this writing, Chris Lau owned shares of F and BP. Article printed from InvestorPlace Media, https://investorplace.com/2018/11/7-dividend-stocks-that-are-worth-your-money/.